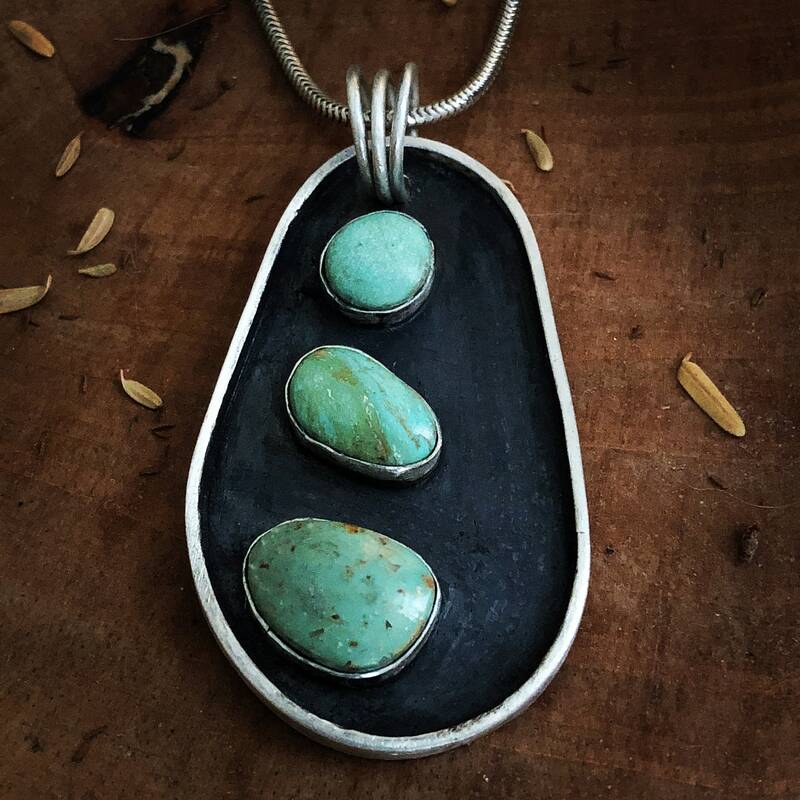 This pendant was created from sterling silver sheet and wire, with three beautiful blue/green La Elisa Sonora mined turquoise. I created a bezel for each stone, soldered them to the sheet and then oxidized the piece, to create contrast. A strip of silver frames the pendant and reflects the sterling silver. I soldered three jump rings to compliment the three turquoise stones. this pendant measures approximately, 2' length and an inch wide at the widest point.